I've said it before, and I'll say it again: It's time we begin taking care of the skin on our bodies with the same fervor we use when our faces are involved. And dermatologists agree. "Our bodies are like the forgotten, distant cousins of our faces," says David Colbert, MD, of New York Dermatology. "We have to remember they are aging as fast (or faster) than our faces. Therefore, we need to moisturize, wear sun protection, etc." The "etc." here is, of course, body treatments. Just as the pros recommend you invest in a facial each month, the same goes for your body. Imagine for a moment you treated your face like you do your body: Washing it whenever you shower and only moisturizing when you remember to do so. It's a scary thought. Rachel Nazarian, MD, of Schweiger Dermatology in NYC agrees: "It's easy to neglect your body now, but you're going to care about it later. It's better to preserve your skin now than repair damaged and aged skin down the line. Additionally, cosmetic work on the body is typically more invasive and expensive—so it's best not to overlook these areas when you're applying preventative products (like sunscreen) and reparative products (like retinol)." She adds, "Keep in mind that the most common area for women to get melanoma skin cancer is on the legs, not on the face. So even from a completely medical perspective, it's incredibly important to include the rest of the body in your daily skincare regimen." Now the question remains: Where do we start? Beefing up your skincare routine is the first step (we list our favorite body products here), and the next is taking a look at in-office treatments. Whether they're performed at a spa or in a dermatologist's office, they're important. You just have to narrow down your biggest concerns and plan accordingly. Below, find treatments we've tried, lusted after, been recommended, or found based off of immaculate reviews. What it is: I had the most mind-blowing experience when I visited Joanna Vargas's spa at the Sunset Tower Hotel. Luxury doesn't even begin to cover it. There, Vargas offers a service where diamond-tipped microdermabrasion meets pure oxygen for serious results. The full-body treatment begins with allover exfoliation to remove dead skin cells and impurities (this is the microdermabrasion part; I have never felt softer), followed by a head-to-toe application of pure oxygen infused with Joanna Vargas's vitamin-packed Daily Serum ($85). If I had to describe it in one, overly verbose sentence, it would be this: Nothing, and I mean nothing, has ever felt as deeply invigorating as this application. Picture this: You're exfoliated all over your body and then quickly steeped in a hydrating, cooling, oxygenating bath of serum. It's so deeply moisturizing and revitalizing for your skin, but I'd say it does a number on your mind as well. Afterward, you get an organic moisturizer for soft, luminous skin that just won't quit. What it is: Daphne is a quaint, chic spa that exclusively carries Biologique Recherche's extensive range of skincare products—including Ashley and Mary-Kate Olsen's favorite, Lotion P50. The menu features clinical, customized, results-driven facial and body treatments. This one, in particular, offers a body treatment with the cult-favorite formula to gently exfoliate as well as moisturize your skin. Your body is then wrapped with algae and essential oils (it feels incredible) in an infrared blanket (that feels hot but still relaxing) for a detoxifying and oxygenating effect. After, your skin is thoroughly hydrated, firmed, and visibly lifted. This treatment fights water retention, aging, and stress—and if you're meant to be in a bathing suit anytime soon, it's the perfect pre-beach antidote to bloat. What it is: This one was developed at the Susanne Kaufmann Spa in Austria and works to encourage effective detoxification. The treatment includes a full-body peel and follows that up with a therapeutic massage. 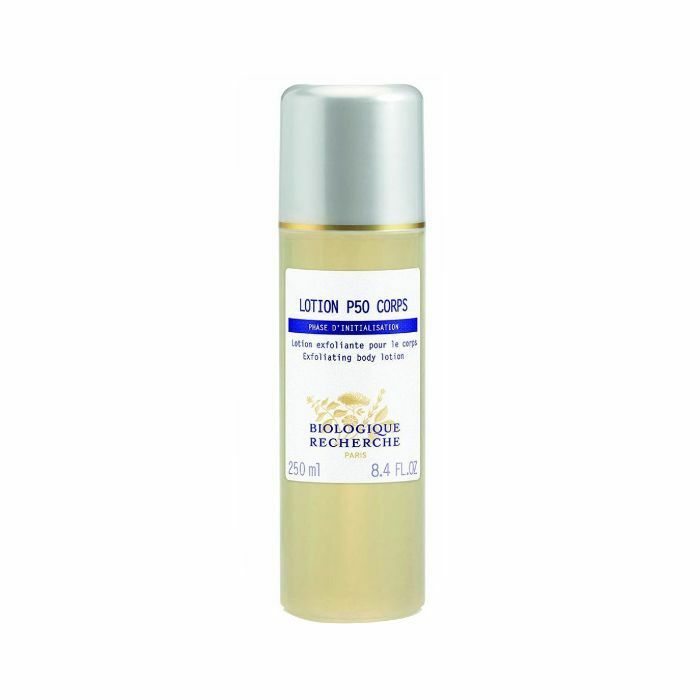 The service promotes the elimination of toxins by working with your skin. The treatment activates your metabolism and allows for your energy flow overall to improve. It's also designed to help free your body from "acidification," which has to do with balancing your body's pH, so it begins with an alkalizing foot bath. I'm telling you, this one is truly special. 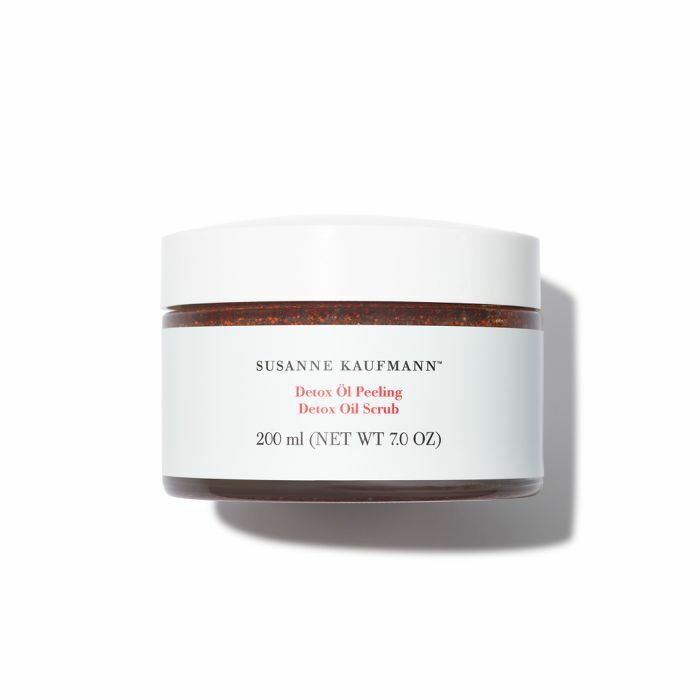 Following the foot bath, an esthetician uses Susanne Kaufmann's special Detox blend to give a full-body scrub to stimulate circulation and promote the elimination of toxins. A subsequent deep-tissue massage ensues (the really good part) and works to relax the fascia in your body and encourage lymphatic drainage. You can find out more about fascia here, but the gist is this: This connective tissue is found everywhere in your body and lies just below the skin. "It divides our muscles and penetrates them like the internal skin of an orange," says FasciaBlaster creator Ashley Black on the company's website. "It also surrounds virtually every structure of the human body. Since it interlocks under the skin, much like a chain-link fence, fat is able to push through the gaps, causing a dimpled, uneven appearance (aka cellulite). So this treatment is particularly ideal after travel or to boost your health and wellness regimen. What it is: NKD NYC's full-body light therapy bed uses a combination of infrared and near-infrared light to penetrate your skin at different depths—this helps to stimulate and enhance cell function and accelerate your body's natural healing and analgesic process. It improves wound and soft tissue healing, reduces inflammation, and offers relief for both acute and chronic pain. "Light therapy also has a positive influence on cell proliferation, immune cell function, and the lymphatic and vascular systems," the wellness center notes. "The result is greatly improved wound injury and healing in dramatically less time. Plus, regular sessions have been shown to contribute to a reduction of pain, acne scarring, and improved muscle performance. Light therapy has also shown to improve collagen production and overall complexion." The longer-term results are seen starting 24 to 48 hours after, with a recommended usage of two to three sessions a week. Plus, the entire experience feels pretty luxurious, as you can choose your own playlist and change into a fluffy robe before and after treatment. It's relaxing, calming, easy, and improves your mood tenfold when you're done. What it is: Vivace is a radio frequency micro-needling device. It is not specifically a body treatment but can be used for a variety of body issues—such as skin tightening and stretch marks. Vivace promotes collagen stimulation and can help tighten your skin wherever you feel you may need it most by combining micro-needling (which you've probably read about for your face) and radio frequency. Usually, a series of three treatments is required, with an option for more if you'd like to see even more results. While it can take three to six months to see your final results, there is no downtime after the procedure, and you'll notice firmer skin after your first treatment. "I do apply topical numbing prior to the treatment," notes cosmetic dermatologist Sejal Shah, MD, FAAD, "so most people are very comfortable during the treatment. You may feel a little heat or pricks, but there is no discomfort after the treatment. Immediately afterward, the area may be red with some slightly swollen areas. This usually subsides within a few hours but may last up to three days." What it is: The basis at Lanserhof is the complete cleansing of the skin. There, this is done by salt therapy (peeling). The Essential Salt Therapy treatment is an effective treatment for tension, hardened skin, and allergic reactions. It includes a massage and bath with Dead Sea salts to activate and strengthen the fluid exchange between your tissues. The treatment supports metabolism, drainage and regeneration, and relaxation. FYI: This is what happens to your body when you quit drinking for 30 days. Ready for the Most Effective Exfoliation of Your Life?